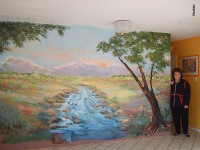 I can also create murals and paintings to enhance your home or office. Fees are based on square footage, time and travel expenses. Please contact me for prices. If you’re interested in one of these services, or have any questions — please call (707) 938-7625 or send me an email using this contact form. 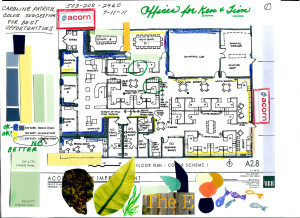 Feng Shui consultations can be provided for all dwellings such as homes, offices, or building sites. While based in the San Francisco Bay Area, I will travel to any location provided travel costs are covered. Consultations are very effective by telephone. This is an amazing way to get life changing advice without having to clean the house or having your privacy invaded. With photos, scans and a floorplan, you will be provided with Feng Shui information and tips to put into action immediately. Consider an evaluation before buying, leasing, renting, building, remodeling or starting a landscape project. Evaluations are priceless and highly recommended before creating Feng Shui-unfriendly design details which can cause illness and block aspect areas in your living and working spaces. I am also available for small or large groups and workshops of any kind, and have been doing so across the country with great success for over forty years. As a Keynote Speaker, I bring levity mixed with incisive insight to meetings, seminars and conferences.